I started blogging in November 2010 but for books in December 2012. There are so many great aspects to blogging, but my favorite is meeting new authors, readers, and bloggers. My family supports my hobby but don't truly understand it. I get crazy looks when I squeal over a new book or hug one after I finish it. It's nice to be able to chat with others who share the same excitement. All the amazing people I've met through blogging has become a support group and inspirational source. The LUV'NV blogs about all types of books—anything that catches and holds our attention, really. But Romance, Paranormal, and Fantasy, especially a mixture of the three, are our aim. My favorite seem to fluctuate and rotate around new releases and what I've recently read. At the moment, absolute favorites are A Pattern of Shadow & Light series by Melissa McPhail (Epic Fantasy), the Bloodlines series by Richelle Mead (YA PN), The Infernal Devices series by Cassandra Clare (YA Fantasy), and Atlas Shrugged by Ayn Rand (Classic Lit/Philo). Wow, that's a hard one. Probably a tie between discovering Netgalley and getting numerous mentions from my favorite author Melissa McPhail. She wrote a blog post specifically about my review on her books here and shared the review all over her Twitter and Facebook with such heartwarming words. Seeing as she was nominated for The Next Big Thing, I was amazed and almost cried. It was pretty darn incredible. And Netgalley ... well, I still become giddy whenever I get an approval. Who doesn't love getting free ARCs to read and review? *Sorry I've been bad about commenting the past few weeks. Less than 2 weeks to the Bar Exam and then I'll be back in full force! Why did you marry Lizzie? Her mother's insane and her little sister is, well, Lydia. Lizzie is stubborn and outspoken and I'm sure you must fight all the time. In short, you should dump Miss Bennet, wait 200 years, and marry me. Next time make sure she's actually dead. Hope all is going well with your studying! Great responses. I am so hopeless at writing letters. Hope mine will surfice. Love this! I might have to throw up a FF post too! :) I've been following you and I LOVE your blog! Xo - Cary. Oh and favor, please. If possible, please remove or just ingnore entry 41. Louisse @ The Soul Sisters because the one we meant to submit was 45. Geraldine @ The Soul Sisters. :) So our real entry is #45. Thanks so much!! I love your Romeo letter because, yeah, logic. I wrote about Severus Snape because there is still some lingering bitterness over his death. OMG. You left me speechless. I love your letters. Haha! Love the one to Romeo! Good luck on your exam and I know it's crazy for you, but do take some time for yourself in the days before the exam to clear your head, etc. I'm a new follower and following via Twitter and now RSS. there have been quite a few love letters this week! This is my first one. I really like the question. There are so many I could write to, so I chose two. Old Follower. 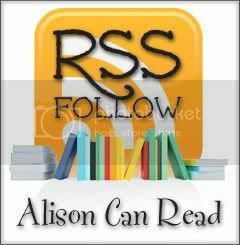 Btw Alison do you know how I can get the threaded comments on Blogger? How did you set yours up like this? Hahaha loving your letter to Romeo! Now off I go to follow the featured bloggers. LOL I love this letter! haha oh my, your letter to Romeo had me giggle despite myself. Amen to that! And nicely worded letter to Mr. Darcy as well. Of course this week I went all repetitive with Mr Potter & Mr Cullen >.< Anyways, thanks for hosting, happy week end & good luck with your studies/bar exam! LOL about Romeo Alison! I agree, dude, check for a pulse :D Old follower. Love both of your letters, lol. The one to Romeo is awesome! LOVE! Love both especially the R&J one. Definitely wish I could give him that little tidbit. Old follower. Baha, the Romeo one is awesome. Big smiles!! Classic letter to Romeo, lol. Hi Alison, current follower checking in with a new blog featuring supernatural fiction. Great questions this week. Always enjoy this hop!